We’re what professionalism sounds like. The perfect soundtrack to the best day of your life, spun with your wedding or event in mind. 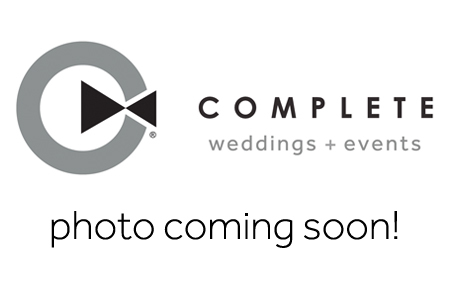 The DJs of Complete Weddings + Events Des Moines will keep you and your guests dancing till the reception ends. Kevin was an amazing DJ. Made us feel like family from the get go. When a DJ pulls out three shirts, all full of signatures for a job well done, you know you got your money's worth. I'm glad we could add our names to that. Nothing can describe the work provided by Kevin. Even told us we are welcome for supper. Thank you! Kevin was an awesome DJ he kept our dance floor full all night long.had great entertainment and was very accomidating!!! Kevin was fantastic! He kept everyone dancing! Even the staff at Hyperion said they had never seen the dance floor more crowded with happy people. I appreciate how Darcy was much more than just a dj he was a host. He helped with getting tables to the buffet line, making announcements, and making sure we didn't forget anything. Really made our wedding go smooth. Darcy was absolutely fantastic! He kept the party moving and communicates with us at every step! Our DJ, Darcy, was very knowledgeable and really knew how to keep the guests entertained. I loved the questions game with the groomsmen vs the bridesmaid. He was fantastic!! Thank you also for the single rose/ small bouquet recommendation for the couple that has been married the longest, what a fantastic idea my grandparents loved it. Joe was an amazing DJ! So professional, yet so easy-going and accomodating! Joe was great! My husband loves to sing karaoke and Joe gave him the mic and let him sing during a few songs. My husband loved it! Joe was very aware of the things we had talked about in our previous converstations and kept the party going in the right direction. He played all different genres which was perfect to get everyone involved. Thank you so much for providing great entertainment for our wedding! Everything the DJ, Danny was fantastic to work with... Even when we changed what songs to play. The photographer, Mike was a sweet heart... did every photo shot I wanted him to do.. Thank you Complete for picking an amazing team. My wedding was absolutely perfect, thank you again. Danny was very professional, and the kids danced!!! From big days to school dances, bat mitzvahs to corporate gatherings, our Complete Weddings + Events Des Moines DJs work with you to create the perfect event, with professional party motivation and expertly coordinated announcements.